Kanak Bhavan is a temple complex dedicated to Lord Sri Rama and his consort Goddess Sita or Seetha. The Kanaka Bhavan is popularly recognised as “sone ka ghar”, means the house of gold. The queen Kaikey or Kakayee who was the cause for sending Rama to forest is said to have built this shrine. Kanak Bhavan was given to Goddess Sita as her wedding gift by Kakayee and Lord Ram and Mata Janaki Sita live in this bhavan. 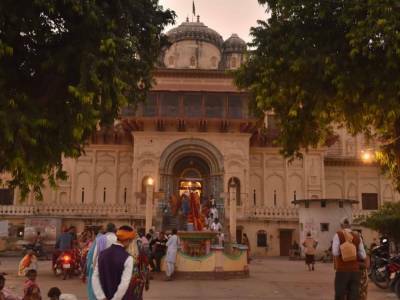 Kanak Bhavan temple complex, where idols of Lord Rama and that of his brother Laxman and wife Sita were kept in different enclosures and decorated with Rajasthani art. 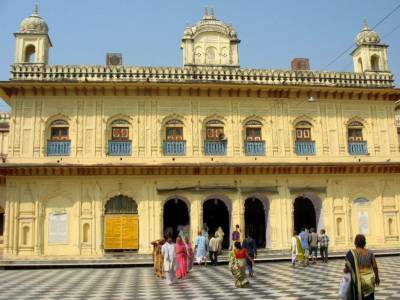 Historically the idols in this temple were found by a rajput queen and she re-established this temple and another one in her own estate. 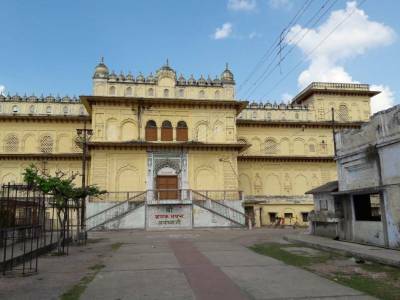 This temple run by the descenders of that rajput queen.This is one of the holy place for Hindu devotees who visit Ayodhya with all eagerness to see the birth place of Lord Sri Rama. The Near by major attractions like Hanuman Garhi, Dashrath Mahal and Ram Janm Bhoomi are situated close to the Kanaka Bhavan. Ayodhya and Faizabad are twin cities. 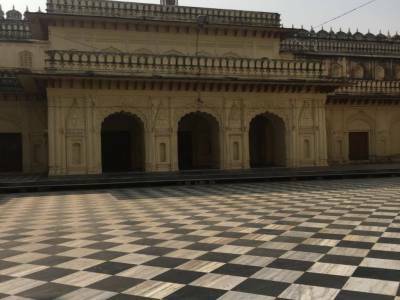 Visitors can reach Faizabad easily from Lucknow, the state capital of Uttar Pradesh in India that is at 135 kms from Faizabad bus stand this spot can be reached by rickshaw within 15-20 minutes. 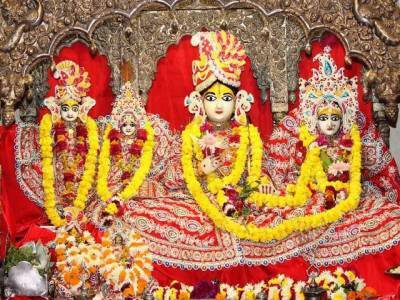 There is no dearth for food, shelter and accommodation in Ayodhya, the kingdom of Lord Sri Rama. Get quick answers from travelers who visit to Kanak Bhavan Temple.